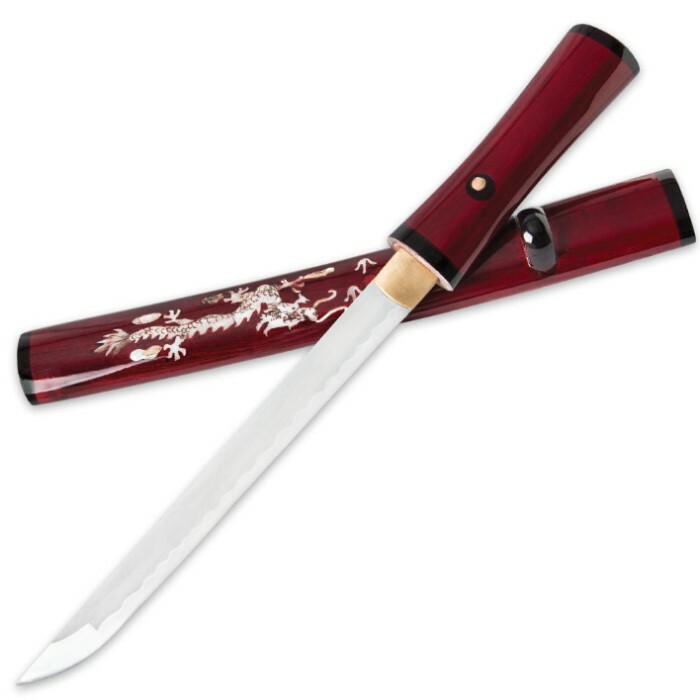 Crimson Red & Mother of Pearl Dragon Carbon Steel Samurai Tanto Sword | BUDK.com - Knives & Swords At The Lowest Prices! 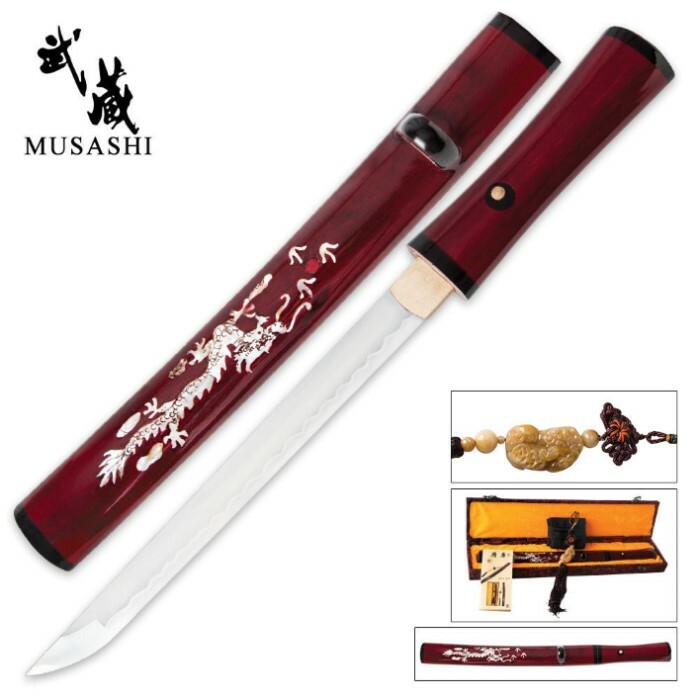 The smaller of weapons traditionally carried by samurai swordsmen, the tanto sword has a rich and storied history. This modern-day creation is overflowing with authentic style and attention to detail. It features a hand-forged high carbon steel blade that has been hand sharpened and honed to a razor's edge. 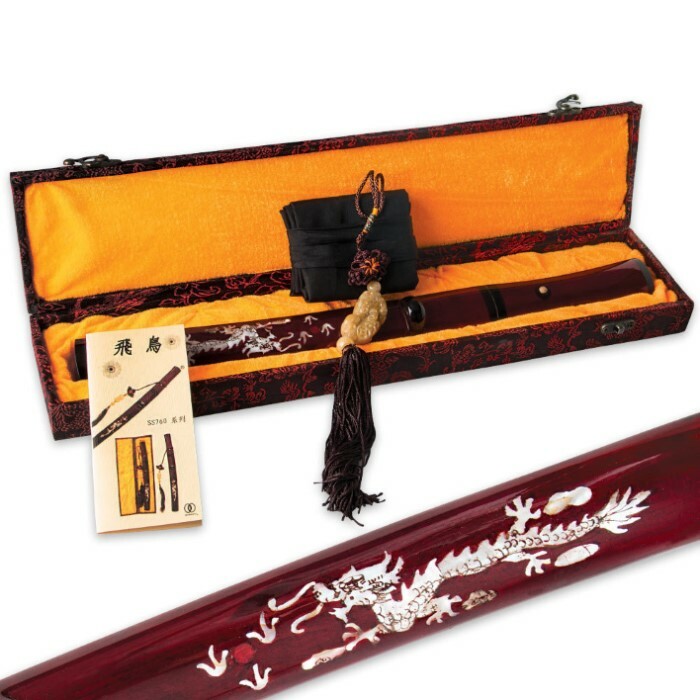 The hardwood handle and matching scabbard have been hand lacquered with a beautiful crimson red color, and the scabbard features an inlaid mother-of-pearl dragon design.